Many women are surprised that they have testosterone, but they do. 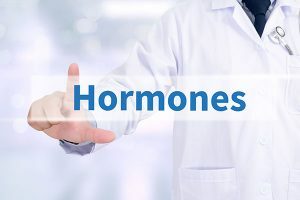 The sexes are not so different, men have estradiol the major female hormone also, and they have their functions in both men and women. Testosterone peaks in women at age 20 and declines thereafter. As it declines, women can experience a gradual decline in energy, develop weight gain in the middle, develop anxiety or depression, develop brain fog, poor sleep and diminished libido. This is a very common deficiency. Treatment helps to relieve those symptoms, plus decreases disease risk. Women are eight times more likely to get Alzheimer’s Disease than men, low testosterone being a major contributing factor. Testosterone also improves bone density, cardiovascular health, blood sugar, metabolism, and therefore decreases risk of diabetes, stimulates the burning of belly fat, improves muscle strength, and it is my best energizer. It also greatly improves mood and many “depressed” patients can stop anti-depressants after this deficiency is corrected. It also improves sleep, which can decrease need for hypnotics. Relatively common side effects can be a tendency towards more acne, and occasionally hair growth or hair loss are reported. For a full discussion of this, a face to face consultation is recommended. It is not actually testosterone that produces these side effects, but its metabolite DHT, that does this. If these side effects begin to occur, then there are blockers that can be added to minimize these. Overall, the improvements in health and quality of life are so profound, that the side effects pale in comparison to the improvements in health. There are various treatment options to remedy the deficiency. The most effective is our BioTE® Pellets. There some other treatment options, like creams or injectables, but the choice depends greatly on the patient, so that is best deferred to a face to face consultation. See the BioTE® section for more information on this method of replacement therapy.